Typhoon Jebi hits Osaka just a few hours ago and the Kansai International Airport is closed for now. There are reports and videos from NHK World Japan that the Kansai International Airport is flooded right not so it is closed for now. Furthermore, NHK World Japan reports that a fuel tanker has also collided into a bridge linking the airport and the city of Izumisano. 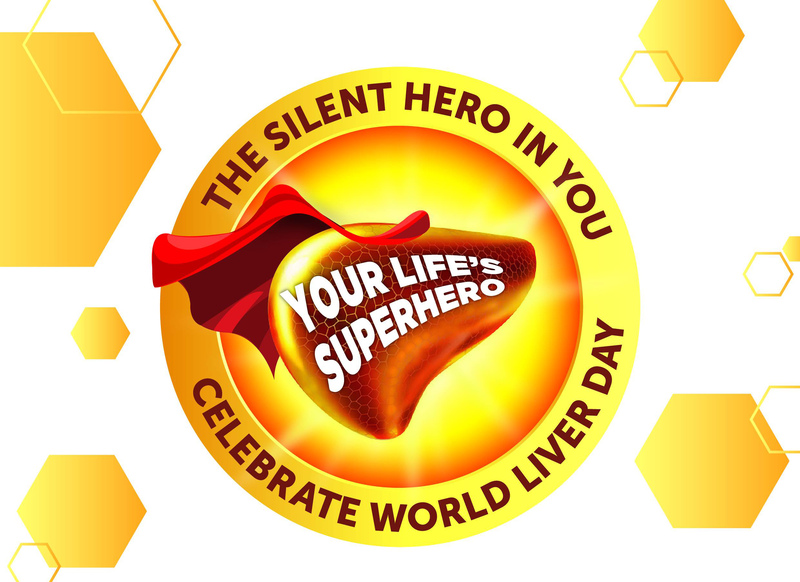 You can watch the video from their Facebook Page. We read that there are fellow Malaysians might be stranded in the Kansai International Airport and other part of Osaka. Be safe everyone during this time. 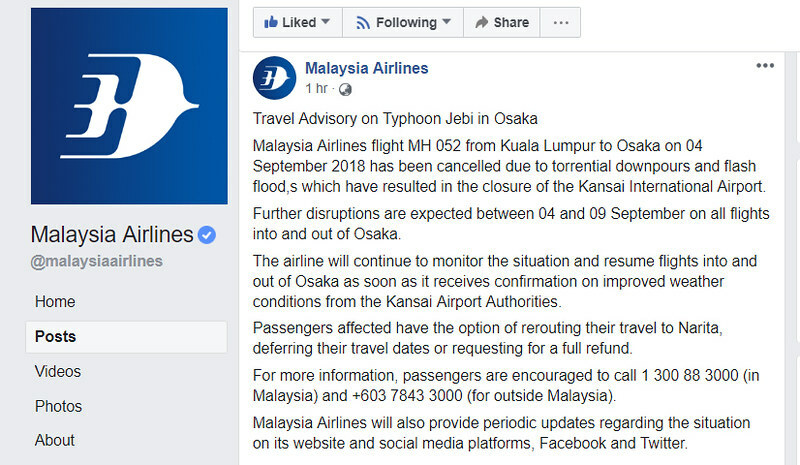 Malaysia Airlines flight MH 052 from Kuala Lumpur to Osaka on 04 September 2018 has been cancelled due to torrential downpours and flash flood,s which have resulted in the closure of the Kansai International Airport. Further disruptions are expected between 04 and 09 September on all flights into and out of Osaka. 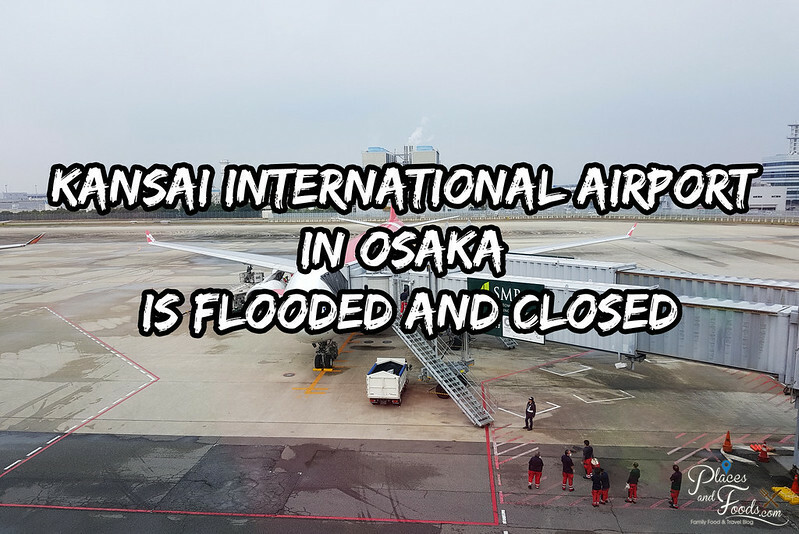 The airline will continue to monitor the situation and resume flights into and out of Osaka as soon as it receives confirmation on improved weather conditions from the Kansai Airport Authorities. 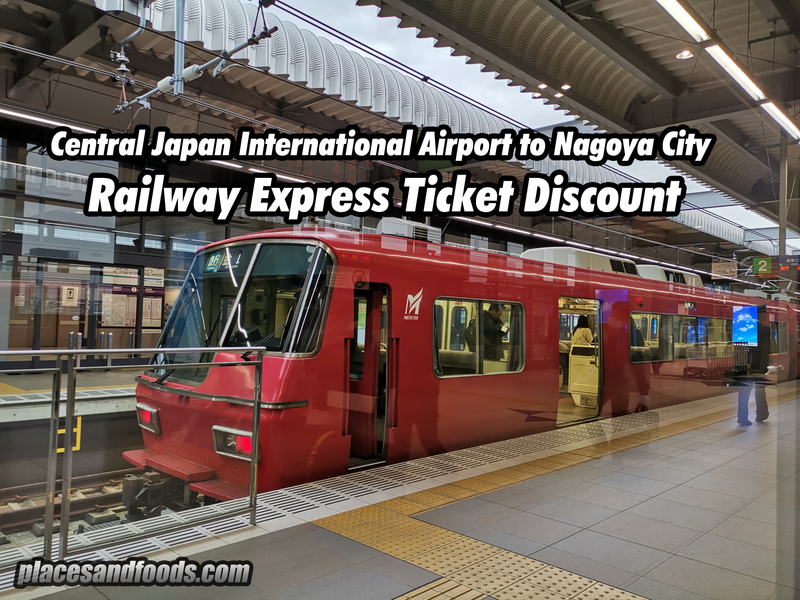 Passengers affected have the option of rerouting their travel to Narita, deferring their travel dates or requesting for a full refund. 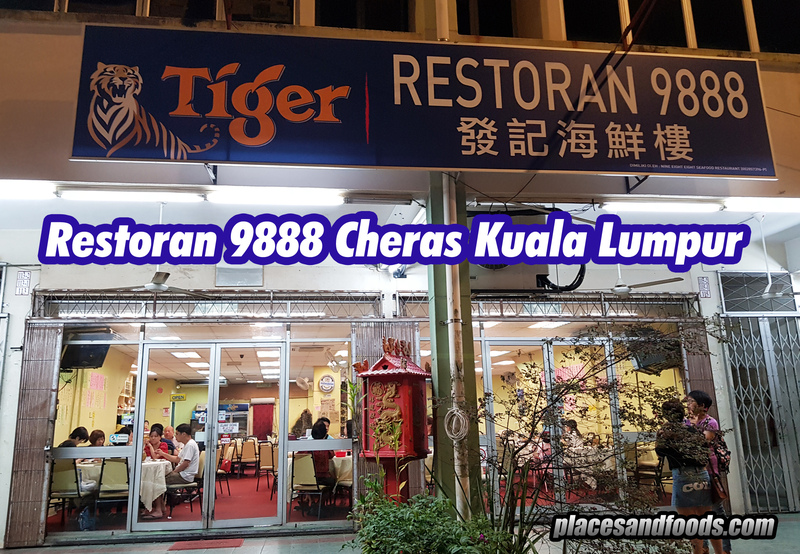 For more information, passengers are encouraged to call 1 300 88 3000 (in Malaysia) and +603 7843 3000 (for outside Malaysia). Malaysia Airlines will also provide periodic updates regarding the situation on its website and social media platforms, Facebook and Twitter. For those who are visiting Osaka or Kansai within this few days, you might consider your options. Malaysia Airlines have released the travel advisory and probably AirAsia X will follow soon. For those who are in Osaka or within the airport, we hope this will end soon and be safe and follow the instructions of the authorities there.